Research software has become an indispensable instrument for virtually every academic researcher. 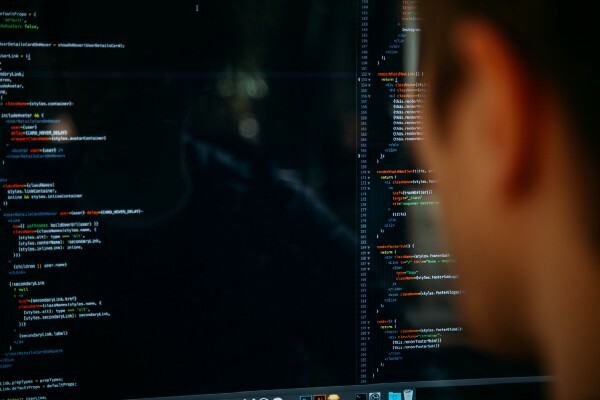 A case in point: survey data from the UK revealed that 92% of academics use research software, 69% say that their research would not be practical without it and 56% develop their own software. Creating, storing and analyzing data is crucial in researchers’ daily work and enables them to address increasingly challenging research questions. This rapid digitization of research has strongly increased the number of people writing and contributing to research software. This is part of a more general trend, where positions like data stewards, information managers, research data officer, research supporter and other non-traditional research positions are becoming increasingly recognized as intrinsic positions in the academic research ecosystem. To increase the impact, recognition and visibility of research software in academia, we (ePlan and the Netherlands eScience Center) have taken the initiative to start and support the community of professionals behind the software: the Netherlands Research Software Engineers community: NL-RSE. The goal of the NL-RSE community fits with the broader national and international open science movement. For example in the Dutch National Platform Open Science and the European Open Science Cloud and GO-FAIR, there is a strong focus on new and digital technologies — including software — to make research data, methods and outcomes more accessible and better reusable. NL-RSE is an open community for all people who as (part of) their job are writing software, regardless of the academic discipline or research area. Being member of the community allows research software engineers in the Netherlands to share knowledge, to initiate collaborations and to offer and ask support from other engineers in the Netherlands. Research software has become an indispensable instrument for virtually every academic researcher. The increasing reliance on and use of data and digital techniques in academia has led to an ever increasing amount of research software at the very core of the science done. The emergence of research software has gone hand in hand with a strong growth in people who actually develop research software. Today, the UK at least counts more than 800 of professionals who identify as developers of software for research purposes. But for the Netherlands, we don’t know. Sure, we know that there are at least 40 people actively developing and applying research software in close collaboration with university researchers. But there are many more people throughout the country working on software, managing data, and supporting digital research, distributed over various research institutes, universities, and other knowledge organizations. To strengthen the various communities and to increase interaction between them, we have taken the initiative to start the Research Software Engineer (RSE) community in the Netherlands. It is inspired by the successful UK-RSE Association, as well as the inspirational visits to the First conference of Research Software Engineers in 2016, events organized by the Software Sustainability Institute, and encounters with UK-RSE and DE-RSE members. 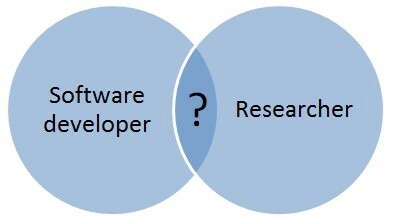 Why the term Research Software Engineer (RSE)? Early 2017, ePlan and the eScience Center took the first steps to found NL-RSE. While we hope that the community will run independently at some point, for the time being a few enthusiastic organizations and partner organizations will take care of NL-RSE best we can. Upon learning of our plans, a number of organizations and individuals have already confirmed their interest in supporting NL-RSE. We are very happy to be joined by DTL in setting up NL-RSE, and hope others will follow. Be sure to send us an e-mail (info@nl-rse.org) if you are interested in supporting NL-RSE! Although supported by a number of organizations, the NL-RSE community consists of individuals self-identifying as Research Software Engineers. We feel this is the only way to truly build a community. The centrepiece of the community is the mailing list. Rather than a newsletter governed by a communication department, any member can send messages to the entire community to make announcements. We also have created a Slack Group for discussions, and a website with information. The main goal of NL-RSE is to build a community of Research Software Engineers in the Netherlands, build best practices, and learn from each other. Note that NL-RSE is about engineering of research software, rather than research on software engineering, a subtle but crucial difference with the computer science field of software engineering. We also hope to raise awareness of the importance of software in research, and the vital role RSEs play in creating this software. Besides an online presence, we plan to also hold irregular meetings inviting community members to meet up. If you identify as a Research Software Engineer, and are enthusiastic about joining a community of your peers, please sign up for our mailing list! You can also follow us on Twitter, sign up for the Slack, or send us an email. All images are courtesy of NL eScience Center.